tags: Classes, Flowers, Mother's Day, New catalogue, Online Shopping, Stampin' Up! I didn’t see my Mum on Mother’s Day so couldn’t post this card until today. I used some of the absolutely gorgeous Love and Affection product suite being released on the 1st June. Of course one of the perks of being a Stampin’ Up! demonstrator is getting to pre-order from the new catalogue and therefore having time to get to know the products before they are released. This product suite features a stamp set, Designer Series Paper, Washi Tape and Copper Embossing Powder. There are two sheets in the Designer Series paper which feature copper embossing – so beautiful. If you don’t have a demonstrator and live northside Brisbane, contact me and come along to my Open House on Saturday the 28th May, to see new product and receive a copy of the new catalogue. Anyway, Mum’s card features a piece of the beautiful Affectionately Yours Specialty Designer Series paper. I attached it to a piece of Night of Navy card and wrapped it with a length of 5/8″ Whisper White Organza Ribbon before attaching to Whisper White card. 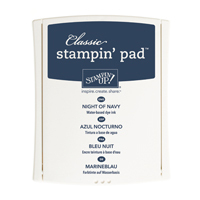 I stamped the greeting from the Crazy About You stamp set using Night of Navy ink. I attached the stamped panel to scored and folded Night of Navy card. I stamped the large flower onto Watermelon Wonder card using Night of Navy ink and also onto Flirty Flamingo (a new incolour) also using Night of Navy ink. The centres of the flowers are a separate stamp and are also stamped with Night of Navy ink. I stamped five leaves onto Cucumber Crush card using Cucumber Crush ink and two leaves onto Mint Macaron card using Mint Macaron ink. All the flowers and leaves were cut out by hand. I attached them to the card front using dimensionals under the Flirty Flamingo flower and the Mint Macaron leaves. Each of the flowers is finished with a Basic Rhinestone in the centre. 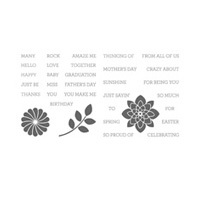 All the flower and leaf images are part of the the Love and Affection stamp set. Inside the card I stamped another of the leaf images from the Love and Affection stamp set across the bottom of the card. I stamped the small solid flower from the same stamp set using Watermelon Wonder ink. I stamped the flower twice before re-inking. Simple but leaves plenty of room to write my message. This card (with a different greeting) will feature in my June Card Class. Keep an eye on my Classes and Workshop page to see what’s coming up. Unfortunately I can’t link some of the images to my online store until 1st June. from → Classes, DSP, Family, mother, New catalogue, Shop online, Stampin' Up!